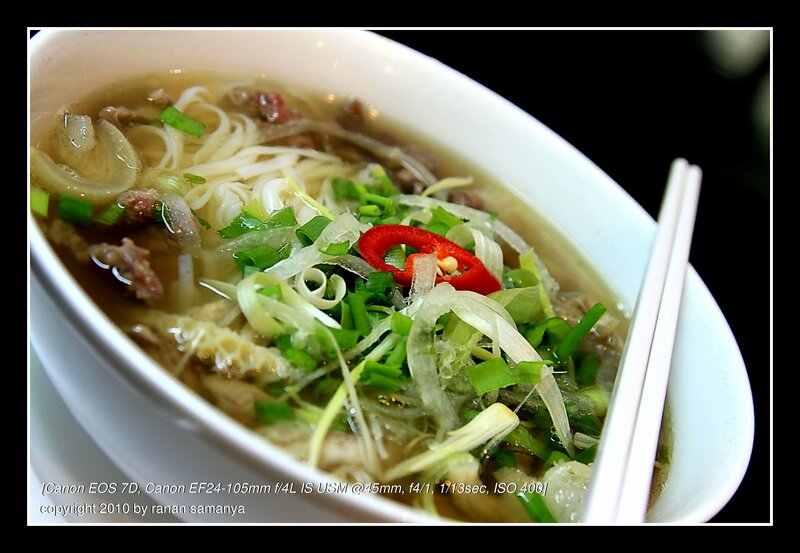 When in Vietnam we have got to try its traditional noodle soup, phở. 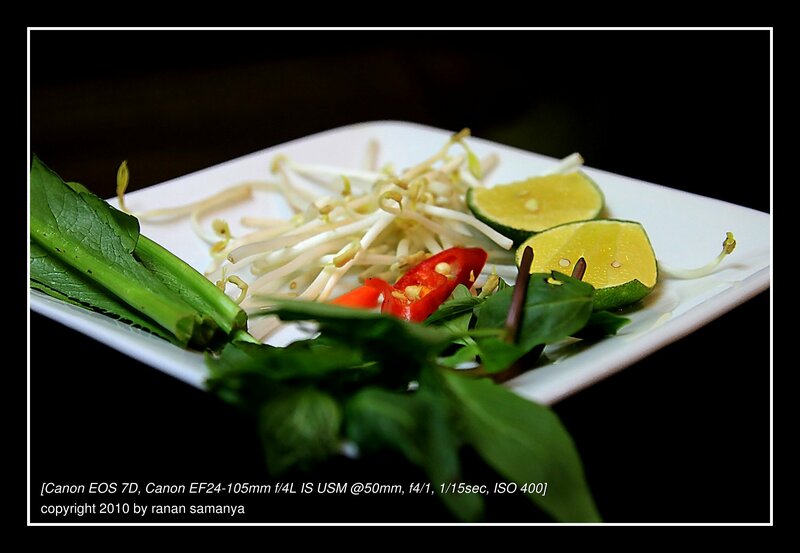 So on one starving day, I entered what seemed to be a crowded local pho resto in Hanoi. Only after ordering did I realize it was one of the Pho24 chain, with more than 5 outlets in Jakarta alone! Nonetheless, the food arrived, and it was satisfying. The place was clean and the plates were shining, just like Frommer’s review said. It has got plenty of noodles and assorted beef cuts, and the side dish consisted of fresh basil, bean-sprouts and one other unidentified leaves. The meat could be done more tenderly, but hungry hath all the fury, and the bowl was completely empty after 10 minutes. I was lucky the table was made from dark glass. Taking the pictures from an angle was apparently enough to minimize the light reflection. As a matter of fact, it created a nice black background.